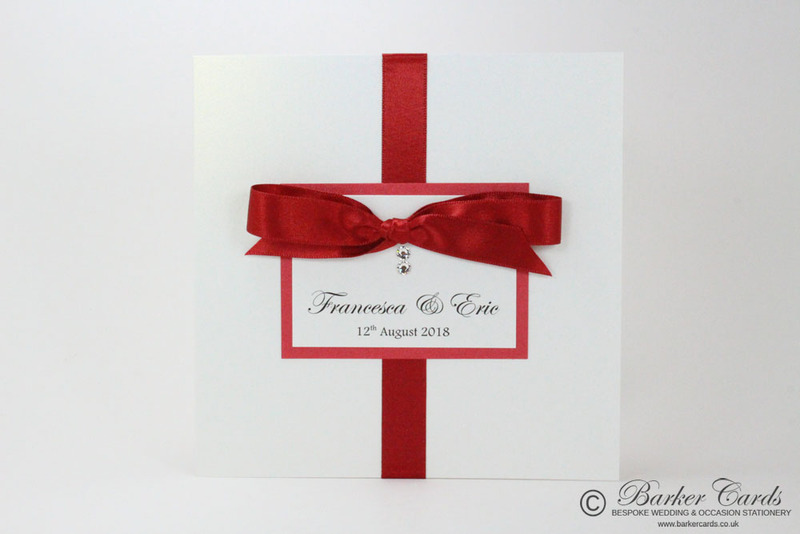 If you having a red wedding theme our range of red wedding invitations will compliment it perfectly. 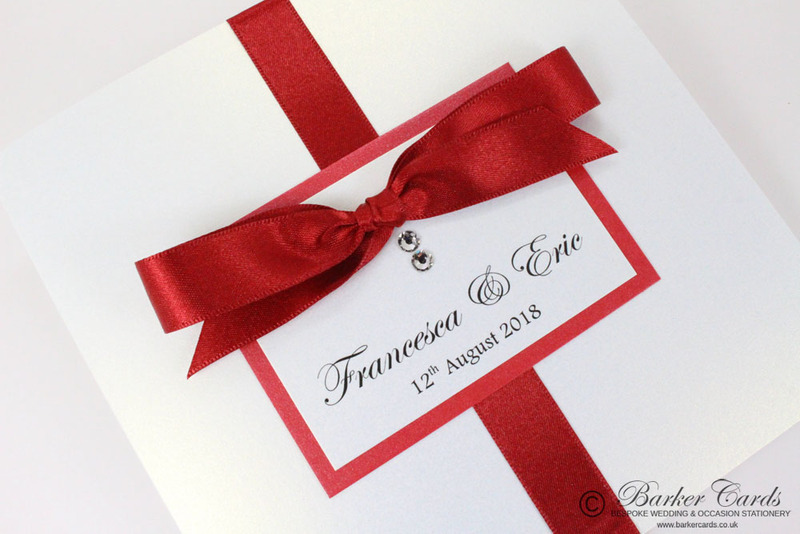 Handmade from pearlised red and white card and finished with a red luxurious satin ribbon, these wedding invitations have a handmade luxurious feel at an affordable price. All wedding invitations are carefully crafted using 285gsm lustrous pearlescent card and finished with elegant satin ribbon. All inserts are printed with your guests' names and are fully personalised. All classic fold wedding invitations are available with classic paper inserts of matching pocket including information, gifts and rsvp cards. All our wedding invitations is available in a wide range of card and ribbon colours to complement your wedding theme. The wedding invitation example shown is made using Dolomite, Jupiter pearlescent card. The ribbon colour is Red 250.
and to order using product code EW02.